Will new PSP rely on speedy Memory Sticks? While, if you believe the rumours, it seems like Sony will be introducing a new version of the PSP later this year, it's still unclear what storage option is likely, especially if the UMD is dropped. 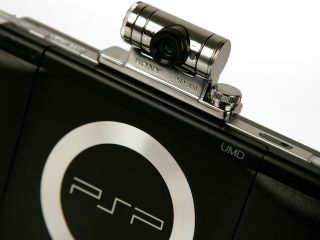 Now, however, PC World in the US says it has been tipped off that the so-called PSP Go! will rely not on flash memory, but on the a new Memory Stick called the HG-Micro. The argument suggests removable memory cards will be a far more attractive option than a fixed chunk of internal flash, as the cost need be limited only by the size of card the owner wants to buy. Critically, that rings true if Sony really wants to compete with Nintendo's DS handheld, particularly on price. Moreover, the rumoured HG-Micro will have a 60MB/s transfer rate that blows the old UMD optical drive out of the water. Whatever turns up in the summer, we're betting the rumours will continue until mere seconds beforehand.